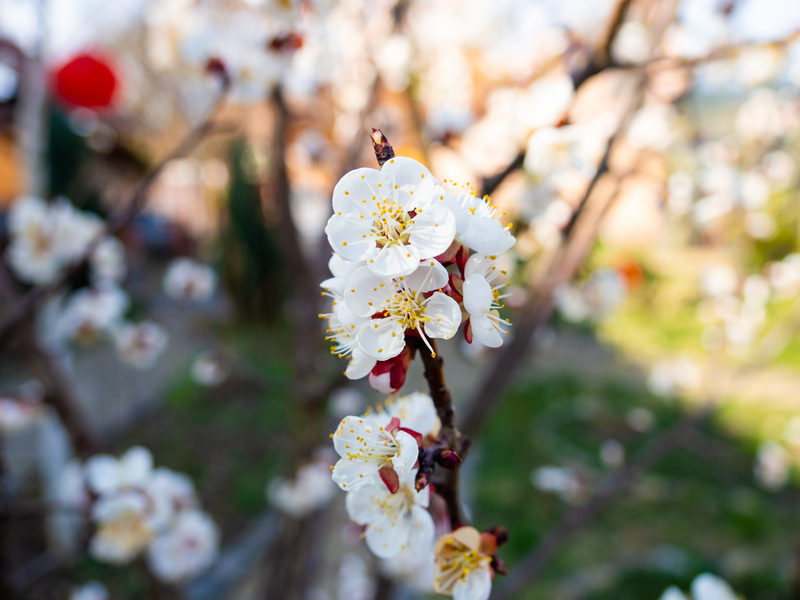 The apricot trees have been in bloom since last week. 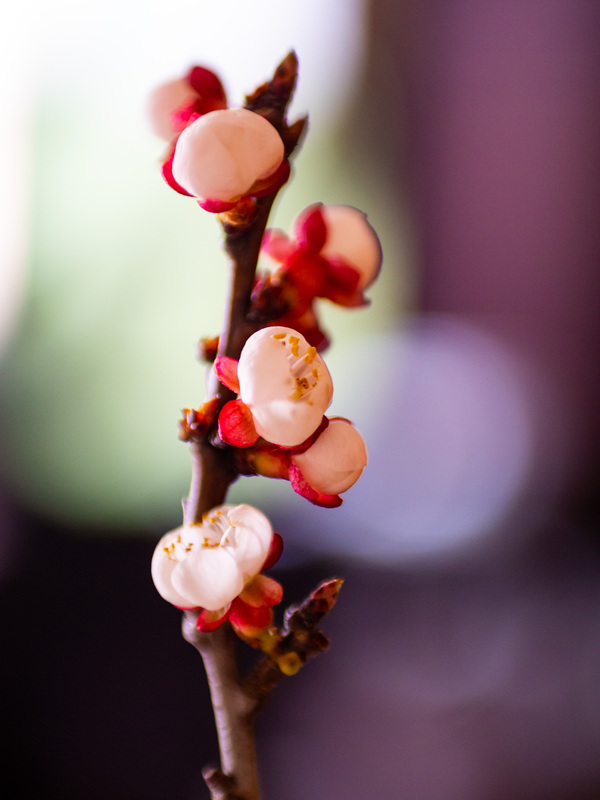 They’re still growing and this year, we’ve had more flowers than ever. 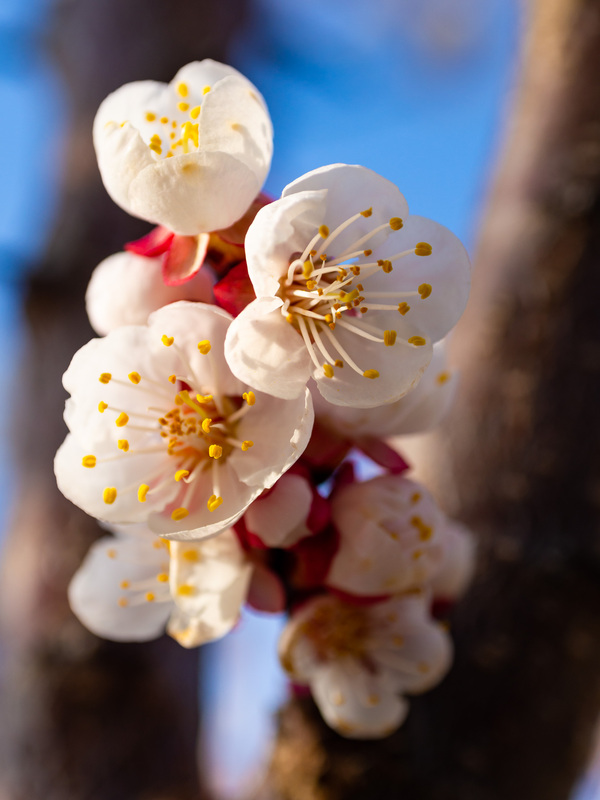 We’ve also had a few nights when the temperatures dipped below zero, so you’ll see that some of the petals have been bitten by the cold and have turned a beige color around the edges. 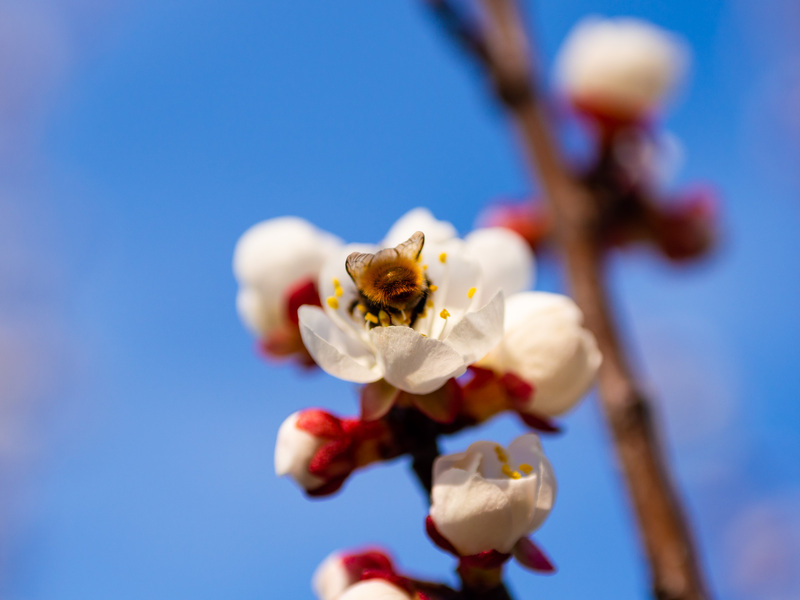 We think the flowers are fine though, and the bees have certainly been enjoying them, since they’re among the first blooms of the spring. 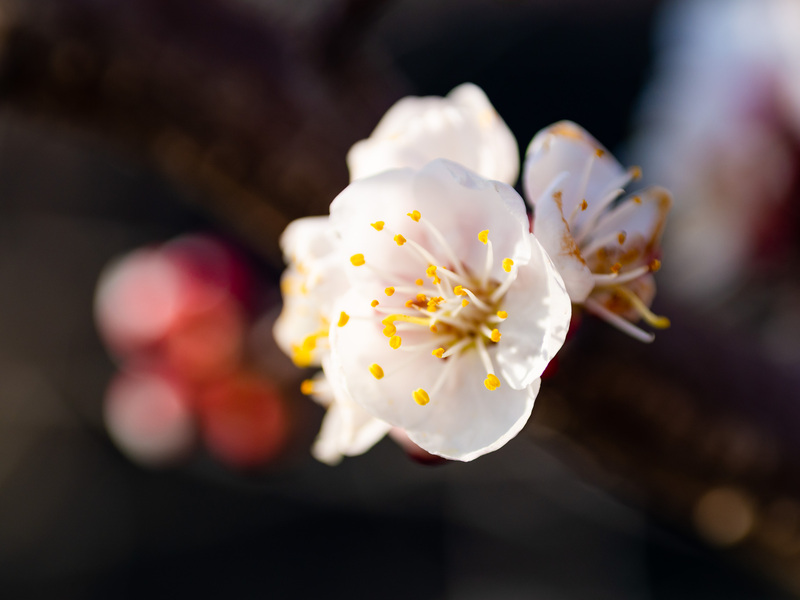 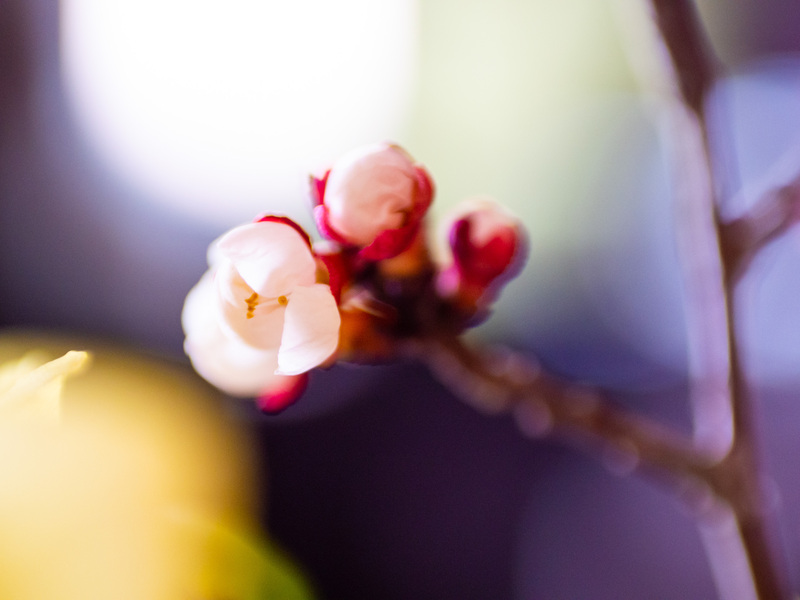 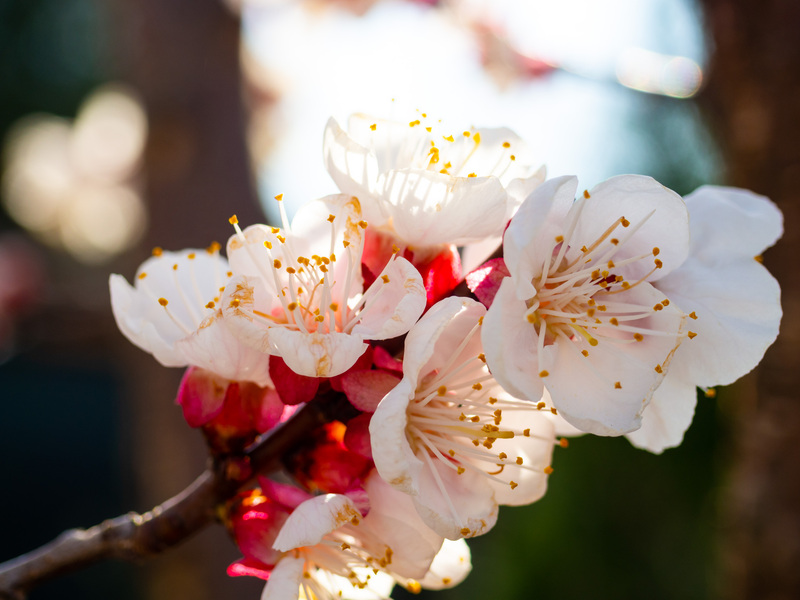 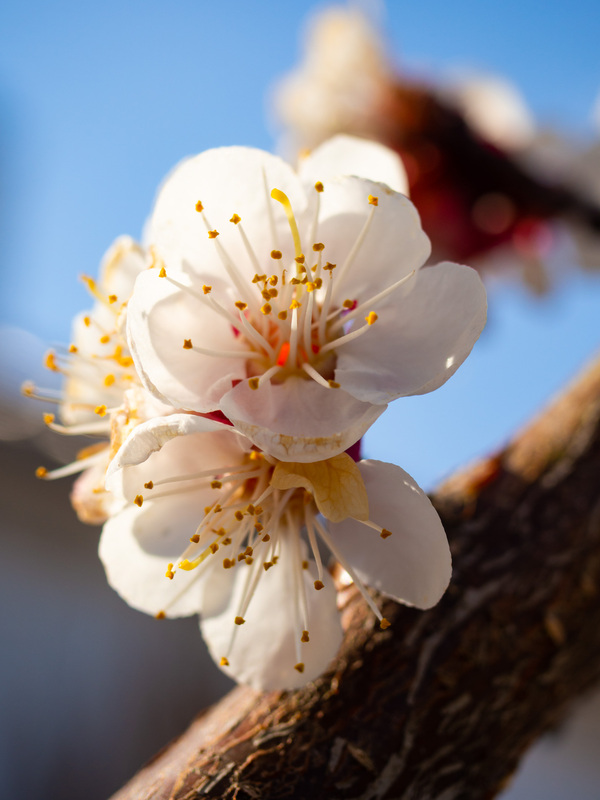 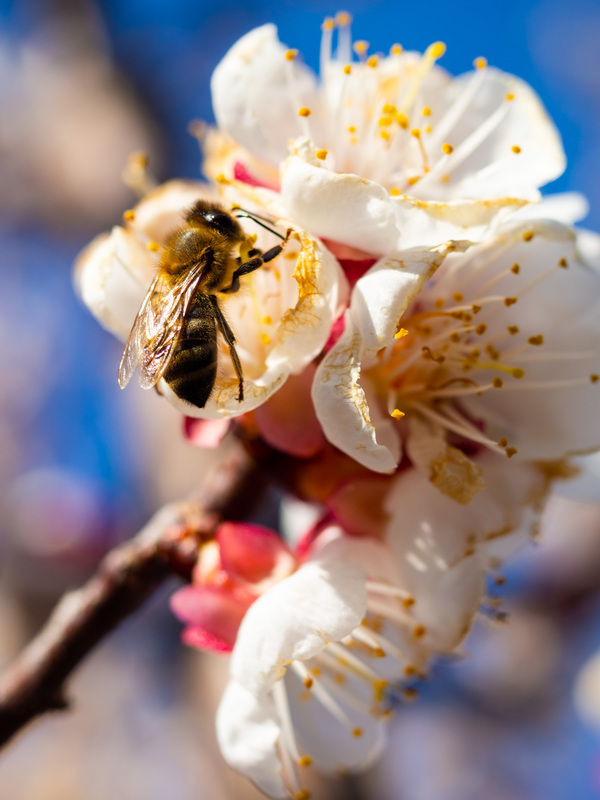 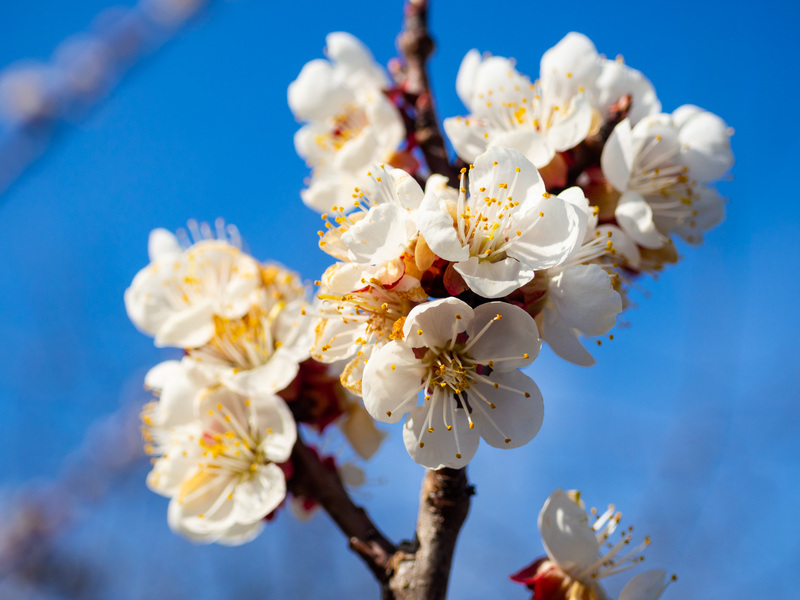 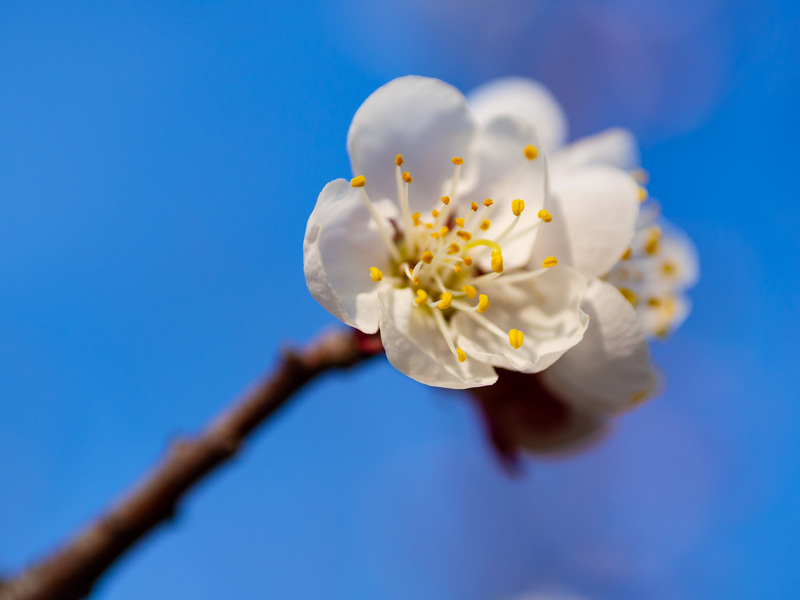 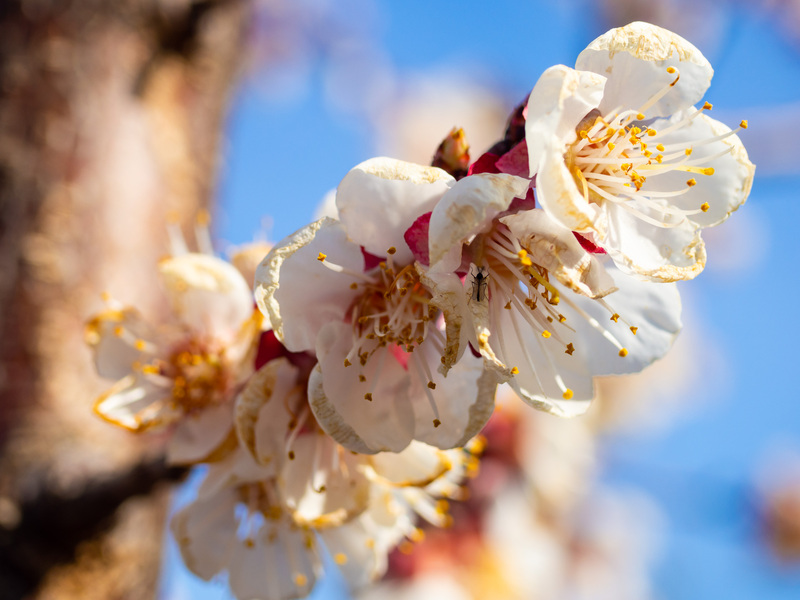 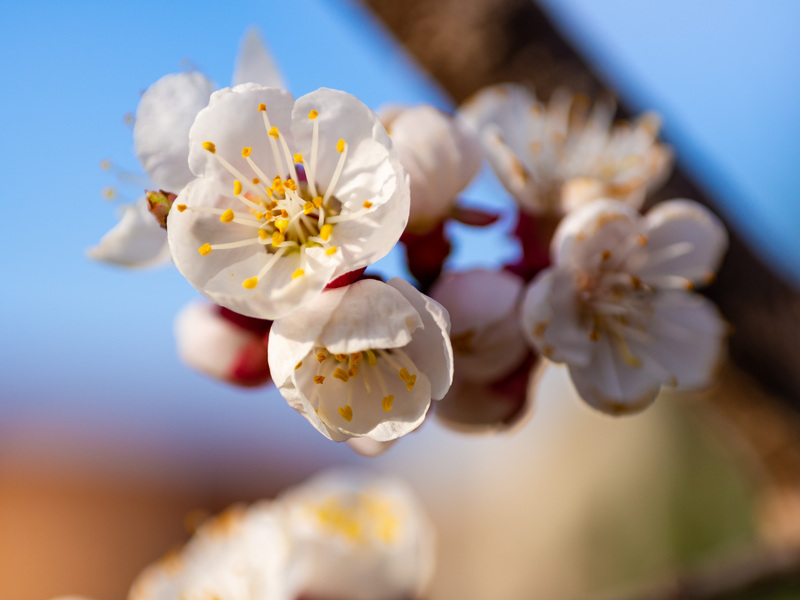 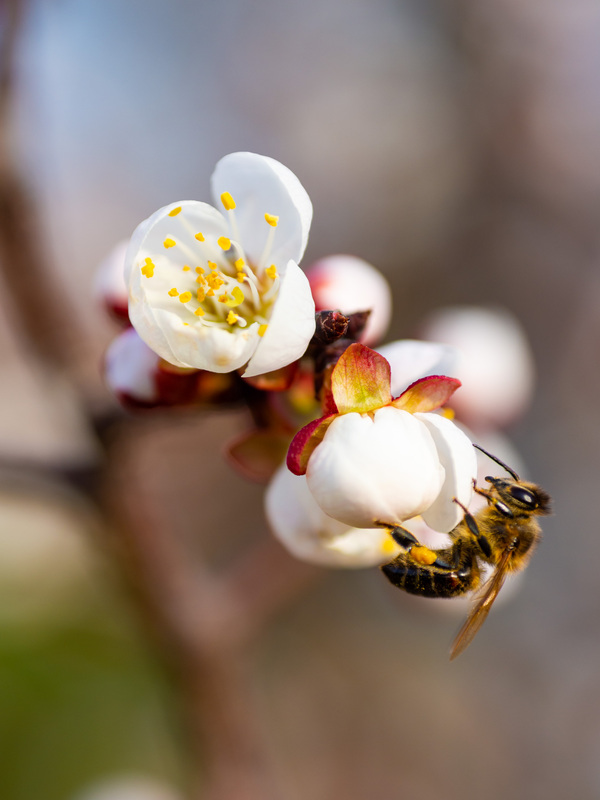 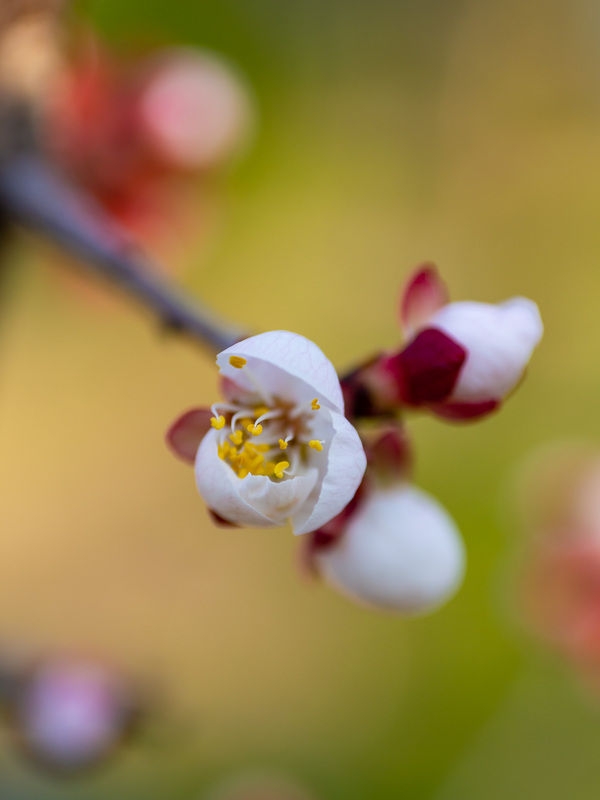 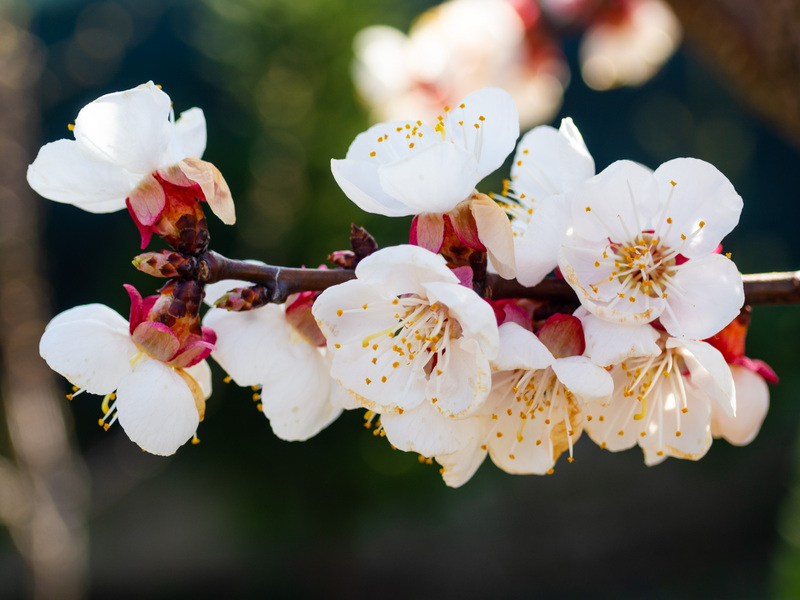 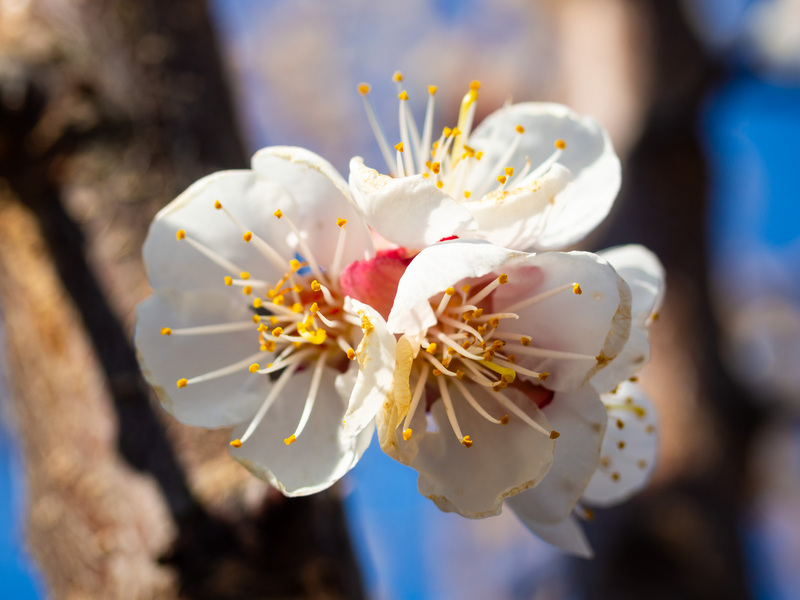 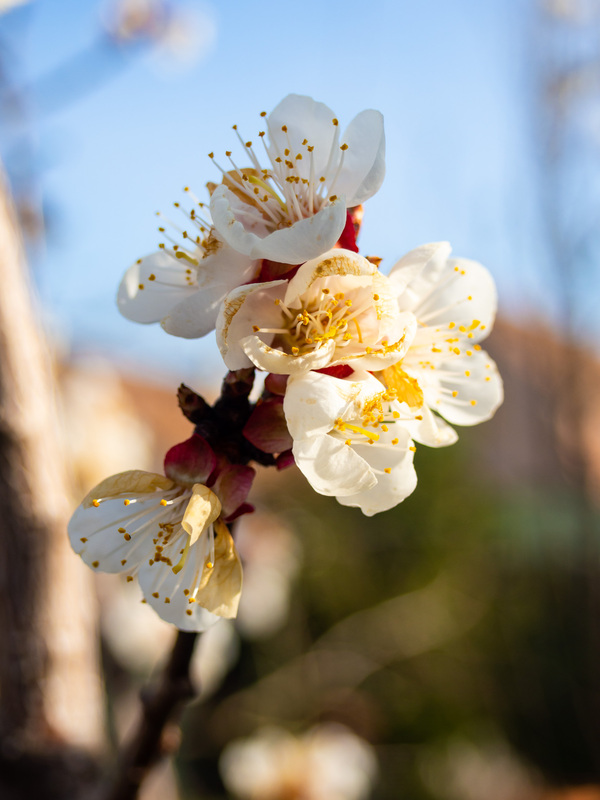 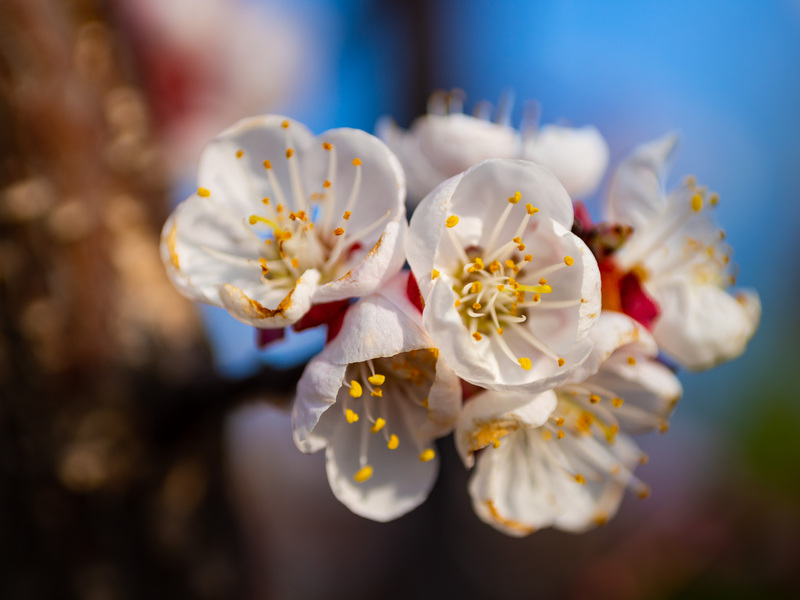 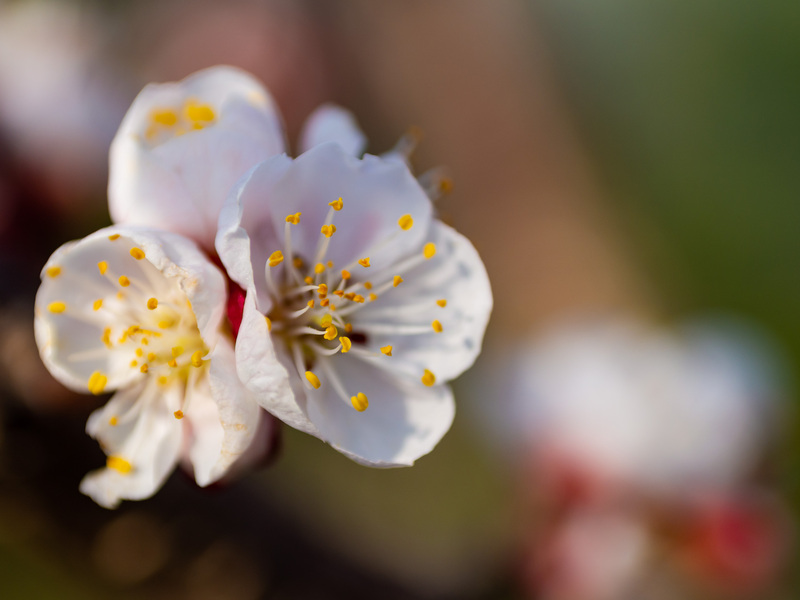 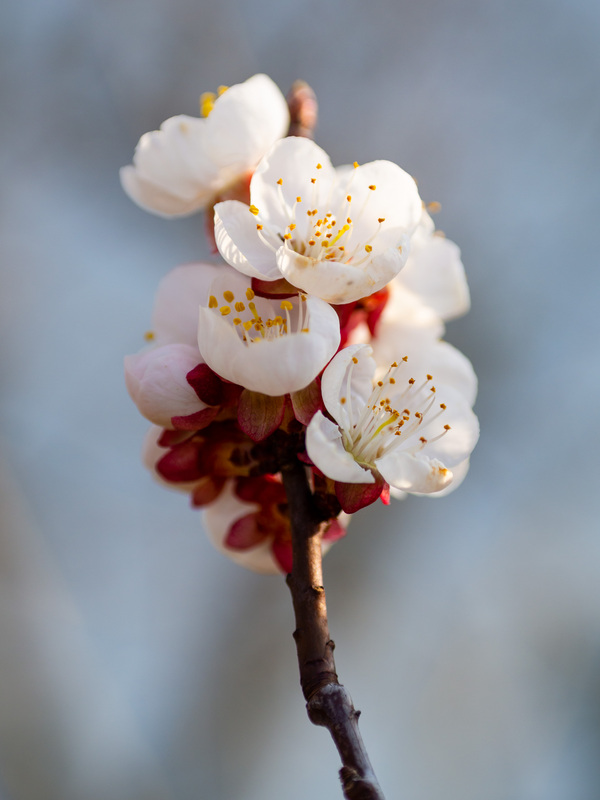 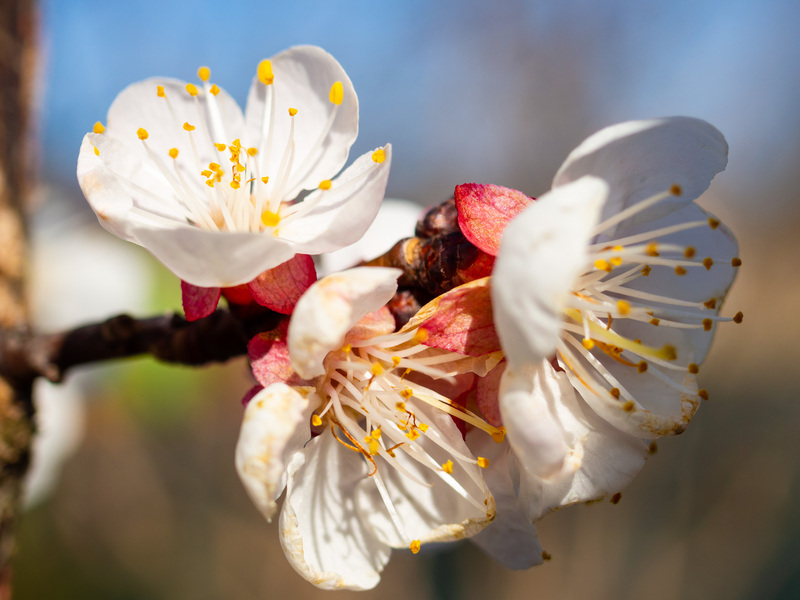 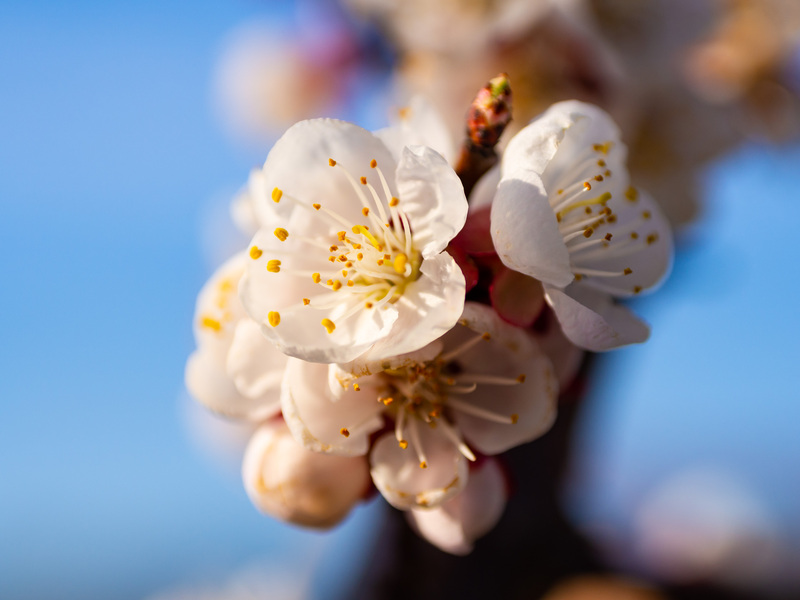 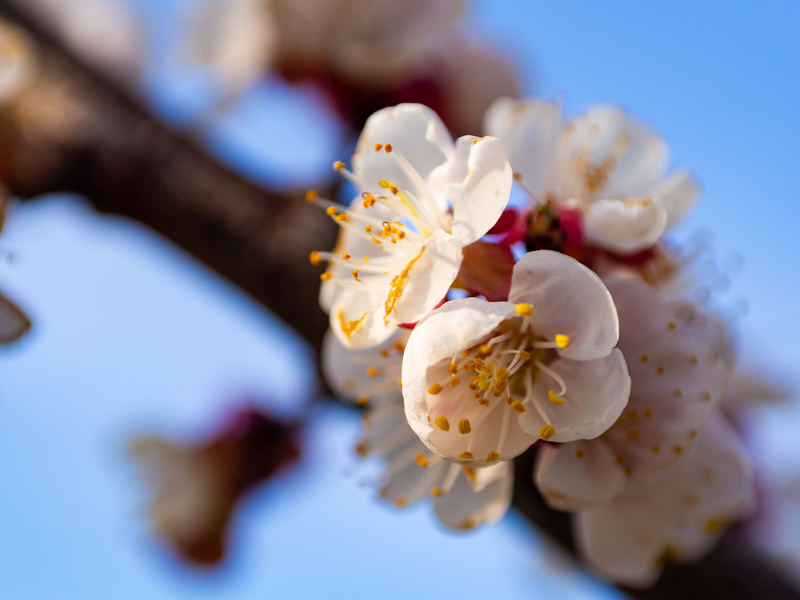 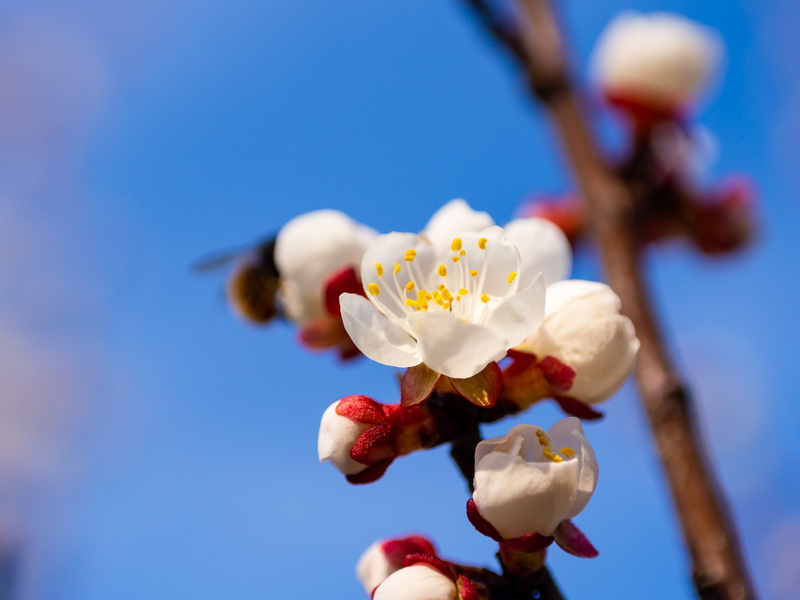 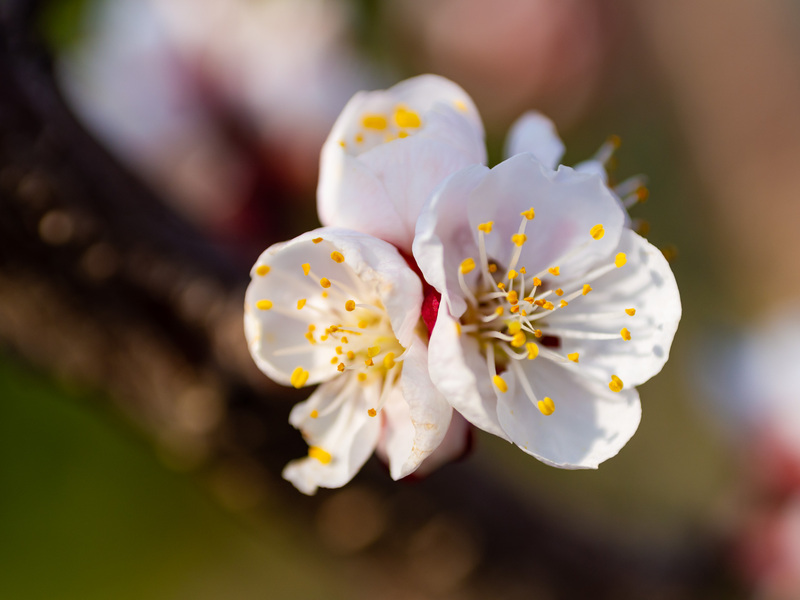 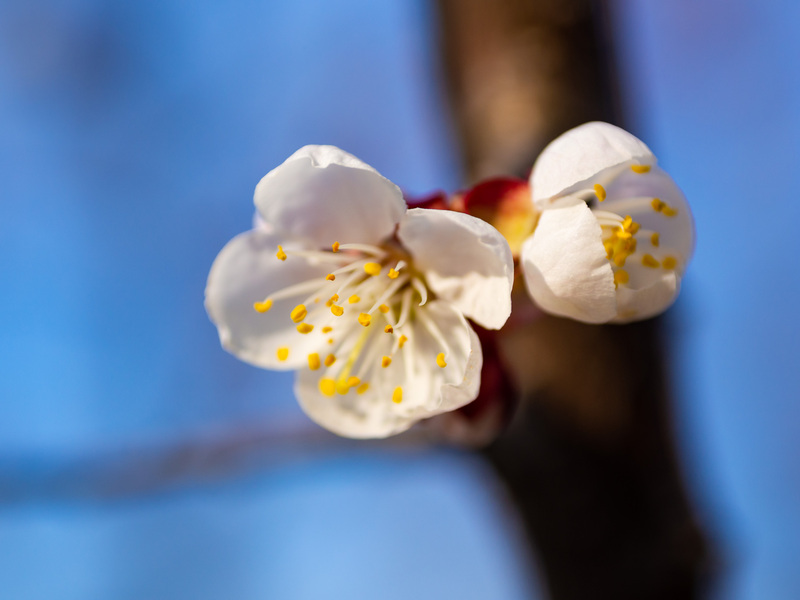 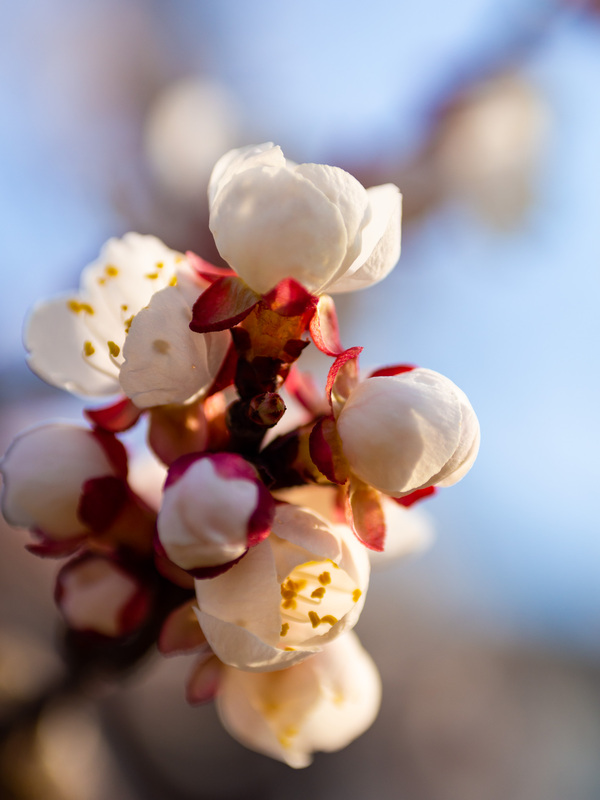 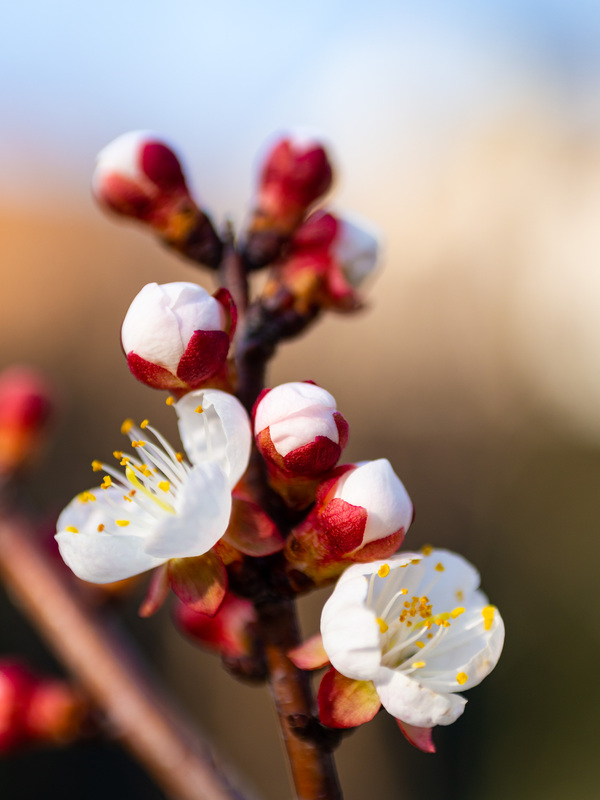 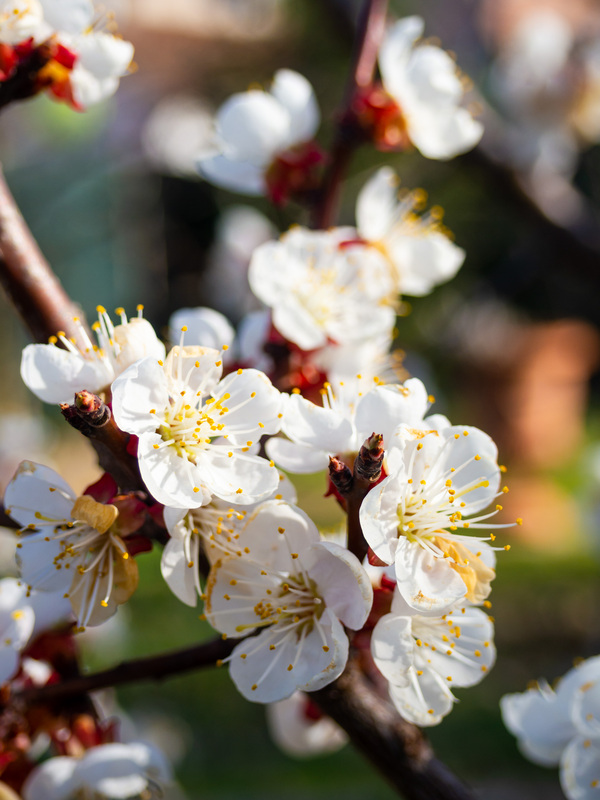 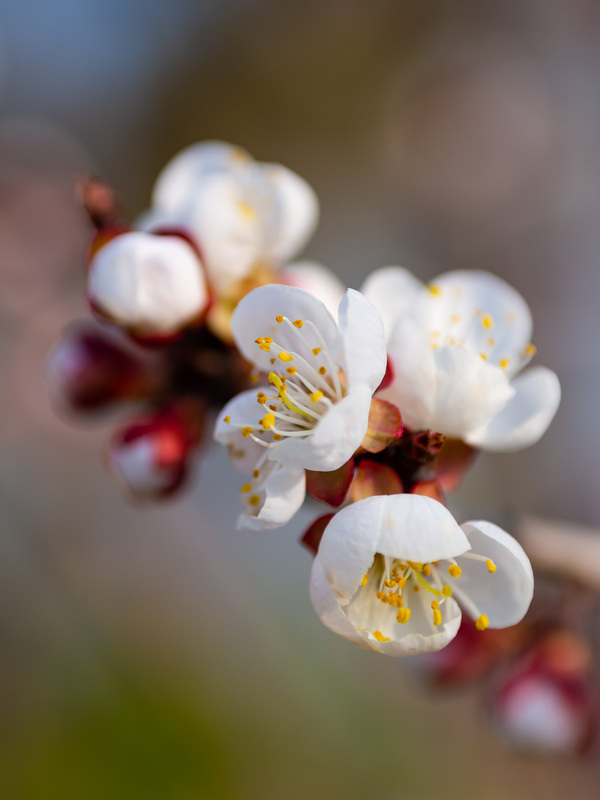 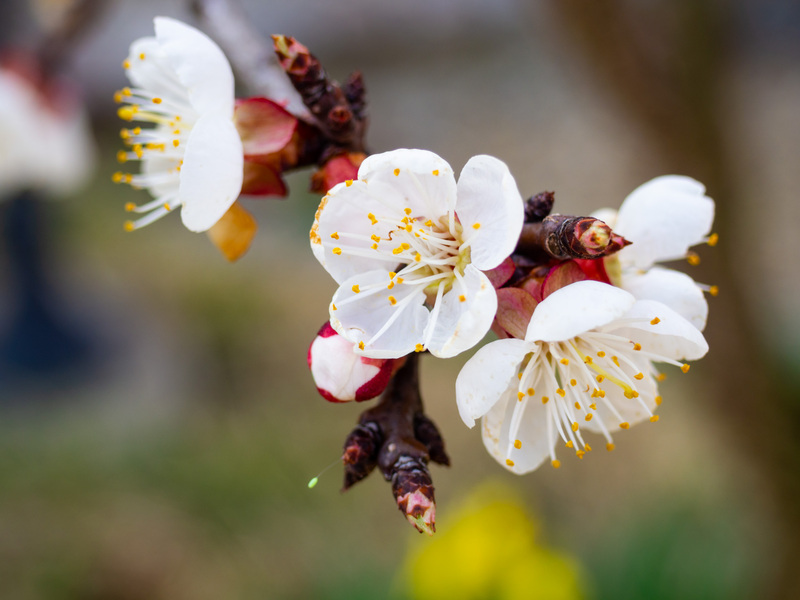 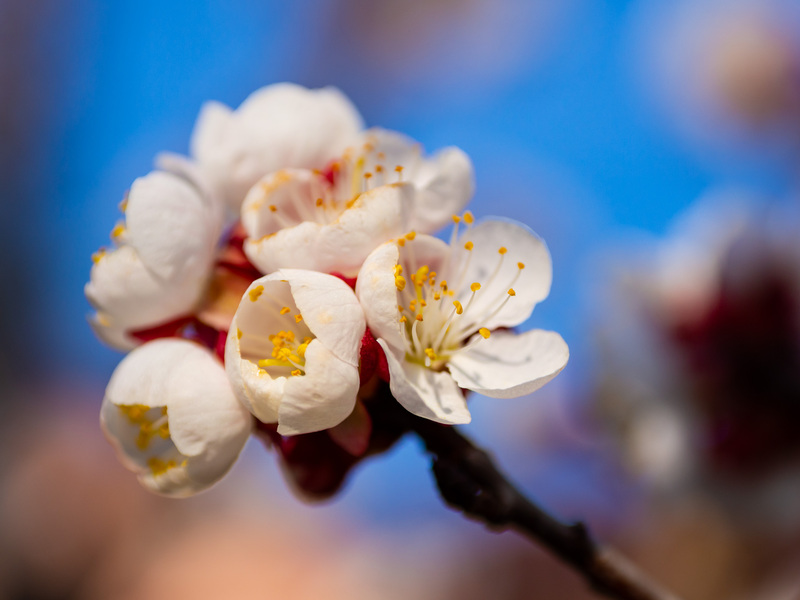 The snowdrops, hyacinths, forsythia and daffodils may bloom earlier, but you can’t beat a flowering apricot tree because of the sheer quantity of flowers.